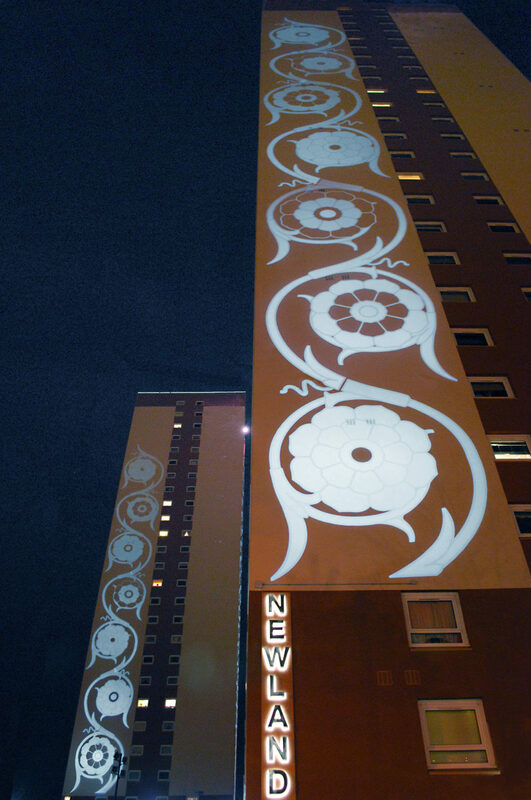 A scrolling decorative pattern, which drew it's inspiration from the ironwork of the locally historic Walter McFarlanes foundry, is projected onto these two recently re- clad tower blocks and over the course of an evening the pattern slowly grows up the facade marking both the passage of time and creating a dynamic local and wider area landmark. The main lighting is augmented by low level lighting which helps create a sense of place and arrival at the pedestrian and street level. The timing of the lighting aims to create a slowly dynamic image that simulates the slow rate of change of natural growth with the image creeping up the facade. 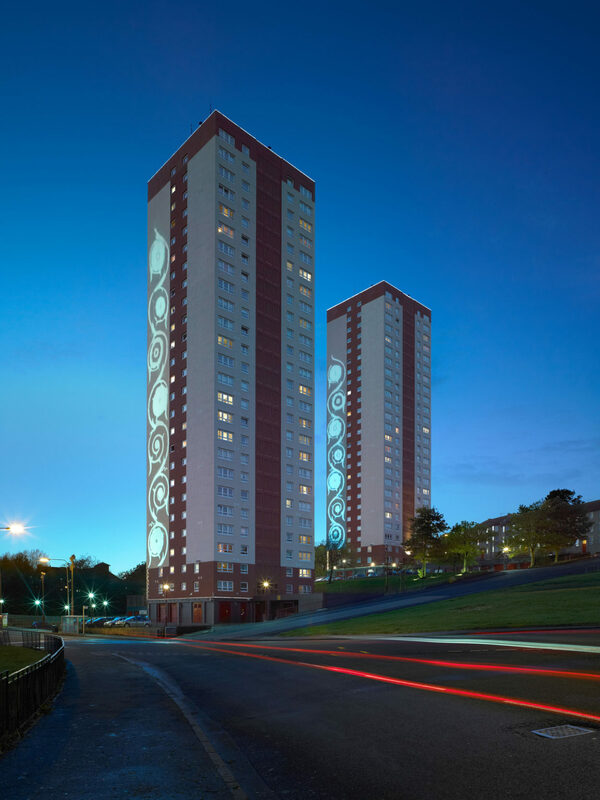 In this way the pair of towers become a giant clock for the local residents, marking the passage of the evening from the traveling home from work or school to going out or traveling home from a night out.